Does anyone make real maghiritsa anymore? 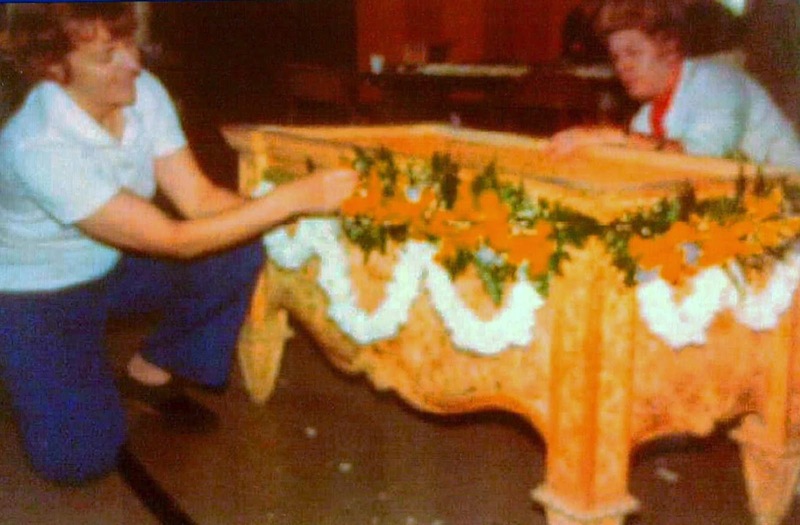 Tonight my brother Bill and I will make our annual pilgrimage to the Annunciation Greek Orthodox Church in North Miami, a place that harkens me back to small-town Greece. 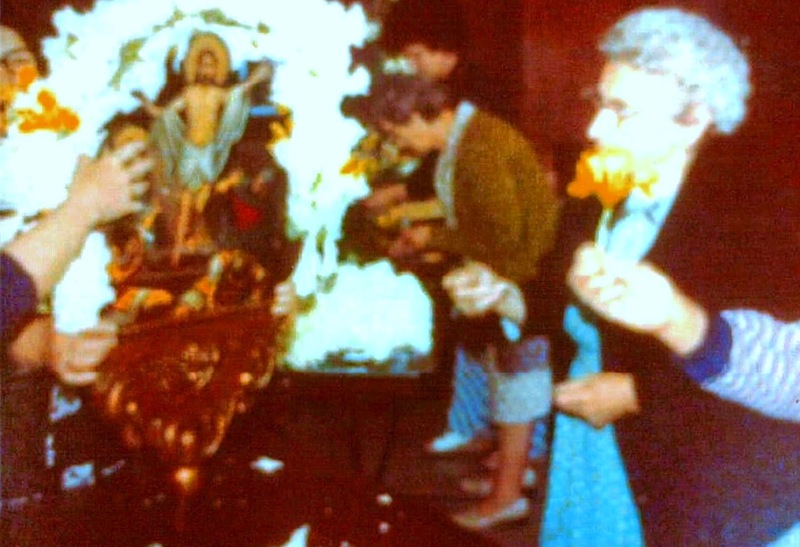 After the liturgy, those who have stayed till the end will be rewarded with a welcoming Easter feast of the traditional maghiritsa soup, tsoureki, red eggs, feta, olives and some wine as we repeat the "Hristos Anesti" -- and I am looking forward to it. It will be very tasty maghiritsa, I can vouch for that -- but not maghiritsa made with lamb intestines (think kokoretsi!) It's not so easy to procure lamb intestines these days, so most people use liver and heart along with some lamb meat. The rest is the same: 4-5 bunches of green onions, 2 bunches of dill, a little rice and the makings for avgholemono soup. Tasty, just not the real thing. But when living in Greece (1968-78), I learned to never ever turn down food offered in anyone's home, especially in Greek villages. The first time I ate maghiritsa was in Ouranoupolis, Halkidhikis -- in a Byzantine tower inhabited by Joyce Loch, a legendary figure in those parts. The amazing Kyria Fani did all her cooking. Meals were served in a monk-like refectory, often accompanied by a bunch of gray cats that hovered nearby or even on the bench next to Joyce at the head of the table. One night, I came face-to-face with a dish of maghiritsa. It was (thankfully) fabulous, and I was hooked. 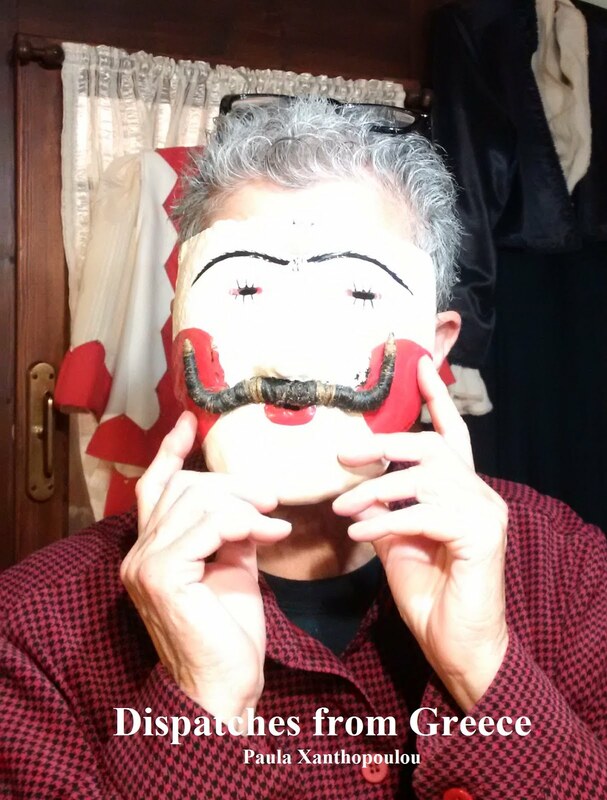 My friend Vouli taught me the ropes, literally and figuratively. The intestines must be washed separately in lukewarm water using salt and lemon; then they are turned inside out on a pencil and washed again before blanching as you have done the other offals. Make sure to get rid of that pencil! The rest is easy: cut the intestines and offals into small pieces, saute the onions in butter, add the innards and some dill, simmer for a couple of hours in the water you boiled the meat in, add more dill and a little rice, finish off with the avgholemeno -- and you have a winner! Kali Anastasi! But does anyone make real maghiritsa any more? Listening now to Αι Γενεαί Πάσαι on YouTube and watching a 2005 Good Friday service from I.N. Μεταμορφώσεως Μοσχατου (2005) in Athens...and I can smell the incense. Tomorrow the real thing! 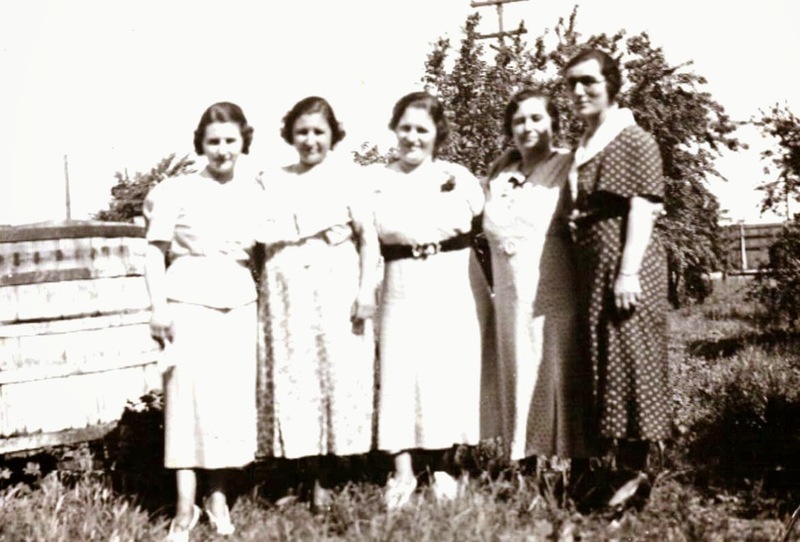 Looking through the family photo collection at a series of pictures from 1937, I continue to wonder where exactly they were taken. 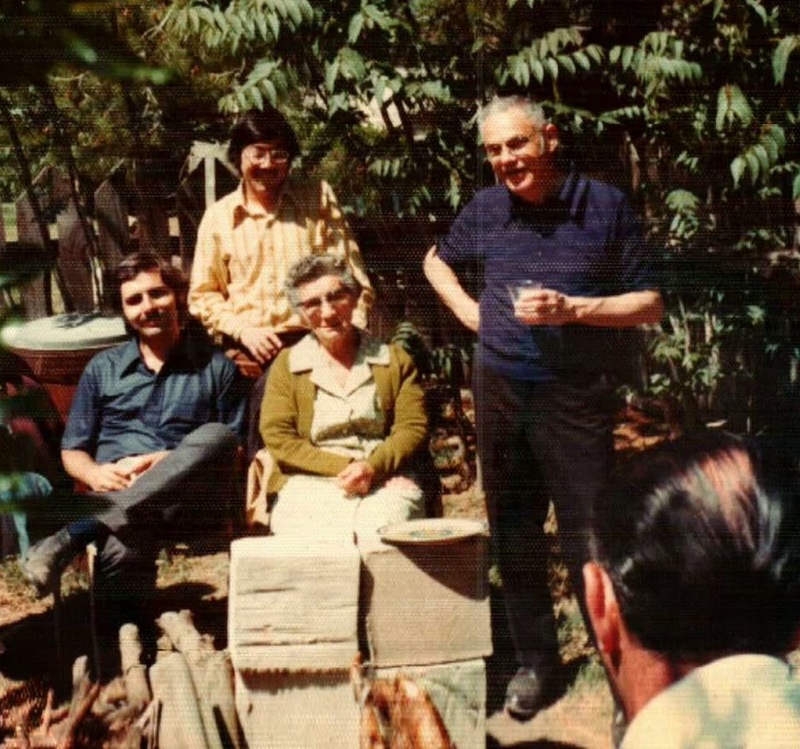 As my grandfather Xanthoulis Xanthopoulos is in the picture, I must surmise that the place is a "farm" that the Xanthopoulos family lived on for a short period. They had a horse named "Rosie" and sold fruit somewhere. Angelo Mitchell thinks it was out on Mariposa Road. Would like to be sure of the location one day. Any thoughts out there? In any case, it is obviously Easter. and his Uncle Tony Gust. 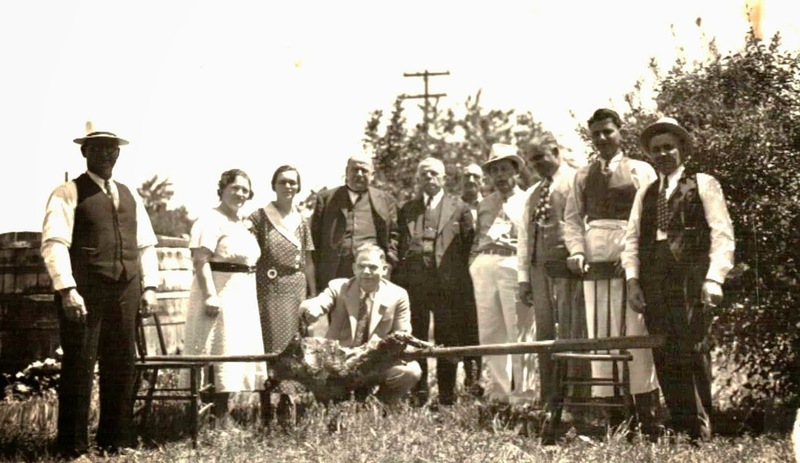 Kneeling w/the lamb is my Papou Sarris. What's In Your Lenten Cookbook? 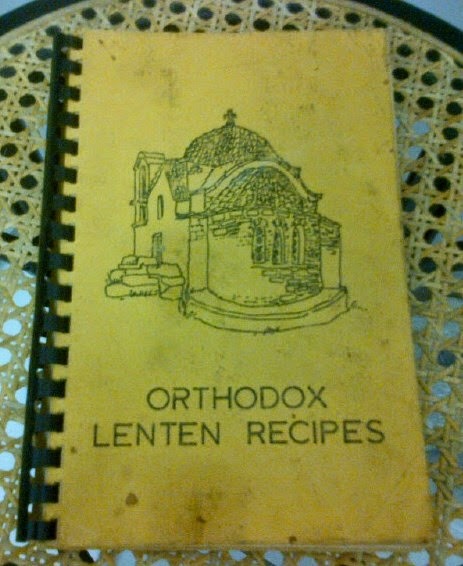 It's Palm Sunday, and a good time to delve deeper into your Lenten cookbook - like "Orthodox Lenten Recipes" (42 pages) published by the St. 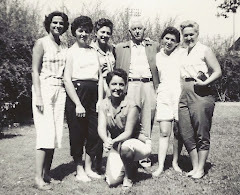 Basil's Parent's Club in 1973, and edited by Gayle Maduros/ Presvytera Efstathiou. It includes a bunch of wonderful traditional recipes and spin-offs, so I probably won't be making the "Chinese Tossed Salad" or "Special K Cookies" any time soon. 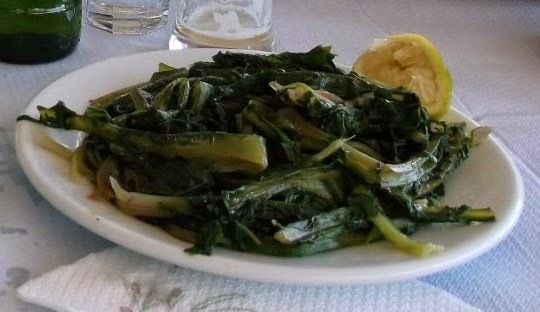 I love soups, and one of my all-time favorites Lenten dishes is spanokorizo (spinach and rice). So today I went with "Lentil Soup w/ Chard and Lemon" on page one, substituting spinach as suggested in the recipe. Kale would be another good choice. Lots of older recipes with lentils call for cooking them a long time; but they do cook much more quickly, in about 30 minutes or so. 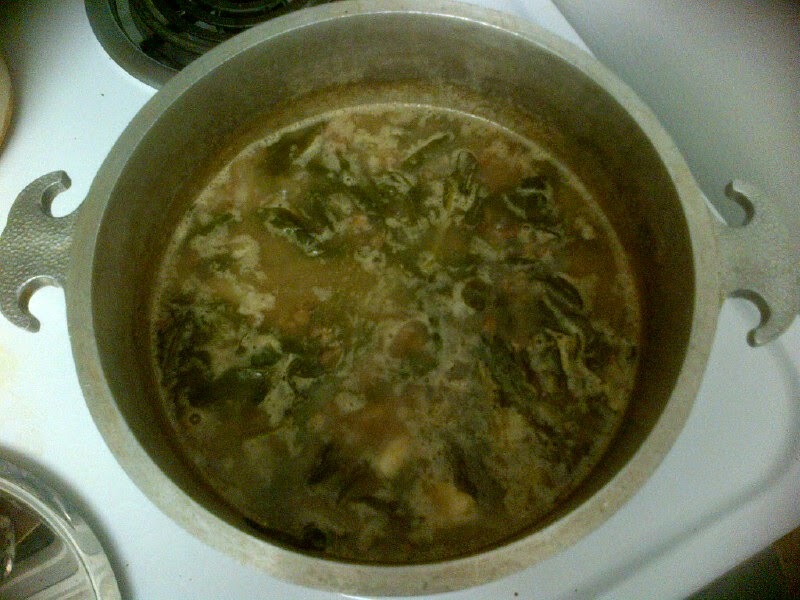 Add the greens, sauteed onion/garlic, salt (if you must),and lemon juice with a little flour to thicken. It takes about an hour. I made the soup in an aluminum Guardian Service pot that belonged to my Yiayia Sarris -- and it made my day! NOTE: The recipe called for 3/4 c. lemon juice, way too much. Next time I will start with 1/4 c. and see where that takes me -- or no lemon juice, just wait to add vinegar to the dish as we do with plain lentil soup. And, of course, more garlic!